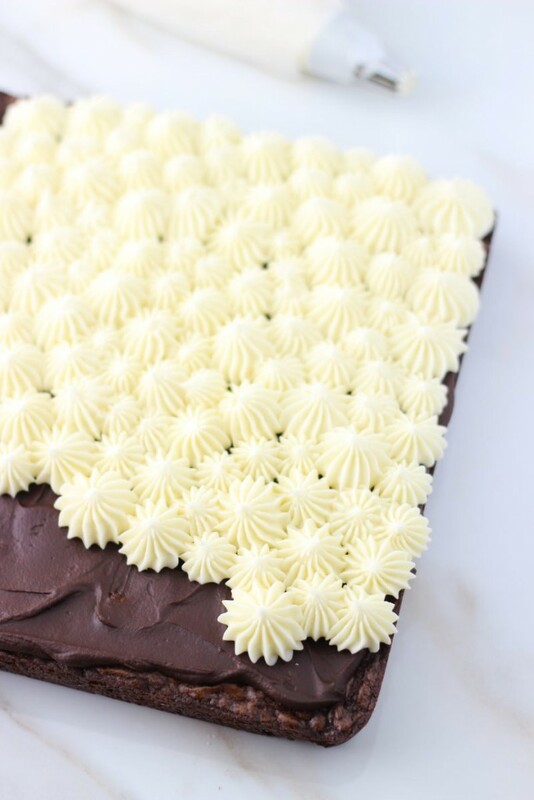 Doctored-up box brownies with semi-sweet chocolate chips and white chocolate, topped with chocolate ganache, and a rich, creamy white buttercream! This is a weird in-between time period where people are tired of summer stuff, but aren’t ready for pumpkin things yet. Brownies are always fitting though. I purchased 8 cans of pumpkin last week at Target, and I’m sitting on them for another few days, but I’m DYING to crack them open. Fall baking is going to be great this year, just you wait. 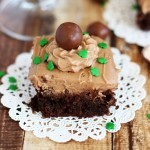 For now, one of my favorite brownies ever. I’ve been making these for over a decade. 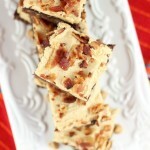 I found and tweaked this recipe back in law school, and that was about 10 years ago, give or take. I don’t want to say exactly how long ago. I recently had a birthday, and I’ve decided from now on that I’m going to keep my age a carefully guarded secret. 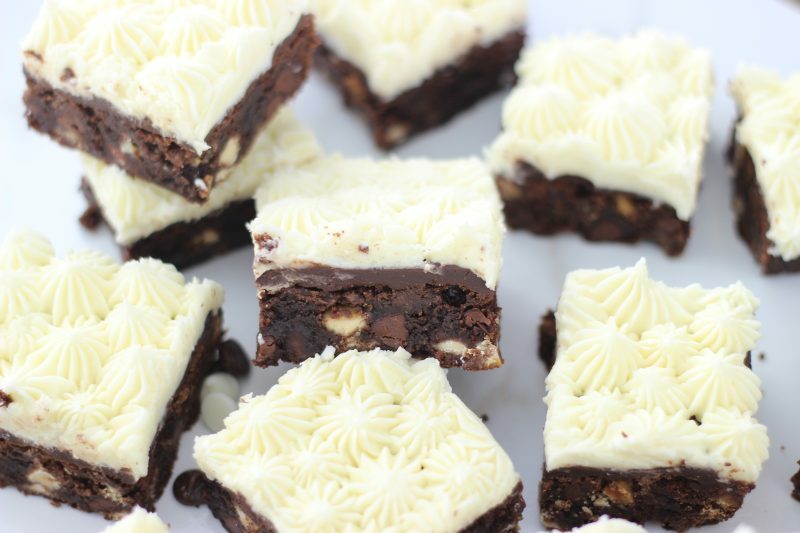 I’ve made and loved these brownies for a long time, and we’ll leave it at that. These start from a box brownie mix, so nothing fancy there, but I seriously love brownies from a box, and I’ve got no shame about it. 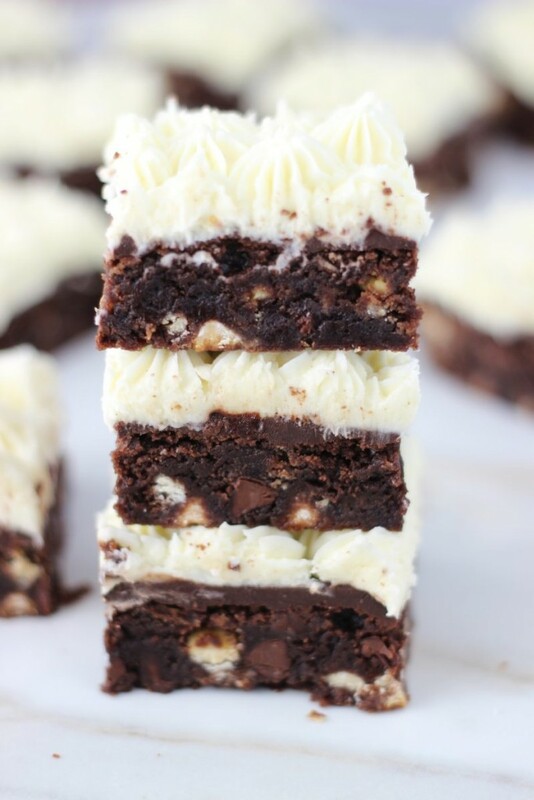 Although, these Ultimate Fudgy S’mores Brownies are KILLER and you can always start with that base if you’d rather not use a box mix. 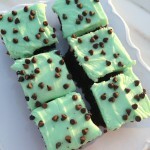 That brownie recipe is ridiculously simple. What makes these fun is that they are Black & Whites. 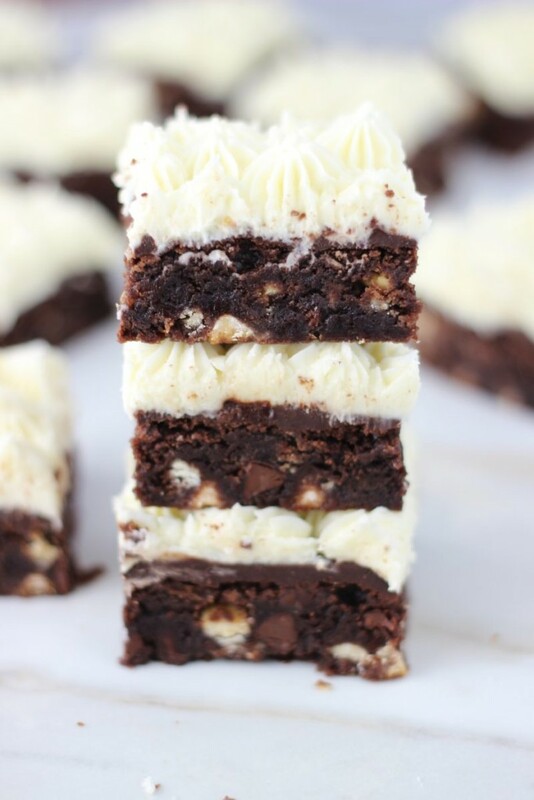 They’ve got both semi-sweet and white chocolate chips mixed in, and that gives you all the deep richness of semi-sweet chocolate, and the sweet creaminess of white chocolate in one brownie. Perfect chocolate contrast, we’ll call it. 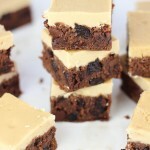 Then there’s a layer of chocolate ganache slathered on top the cooled brownies. Chocolate ganache makes any dessert insane. You have to look closely to spot it, but it’s there. It matches the brownie so it’s tough to see. You won’t miss it when you sink your teeth into these though. It will make itself known. They are frosted with fluffy white buttercream to cap off the Black & White theme. 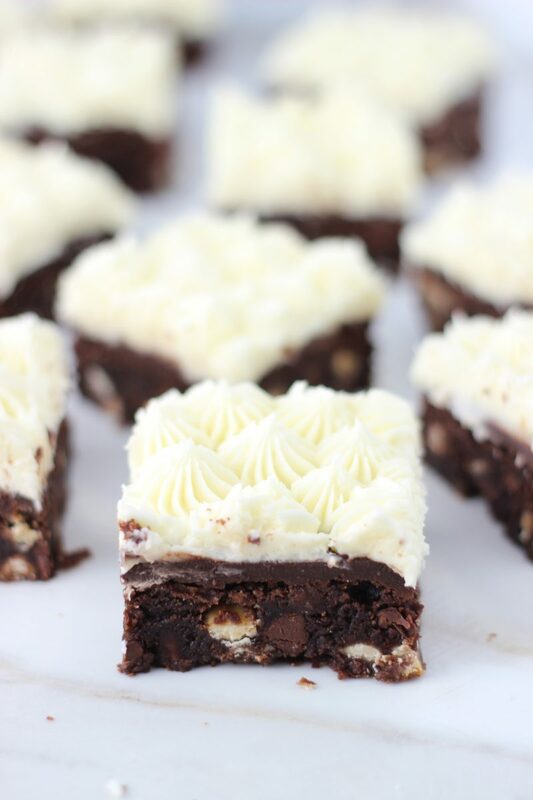 I learned how awesome brownies with white buttercream can be with these Hail Mary Brownies. Prior to that, I thought all brownies need to be frosted with chocolate. Not so. I was way off about that. 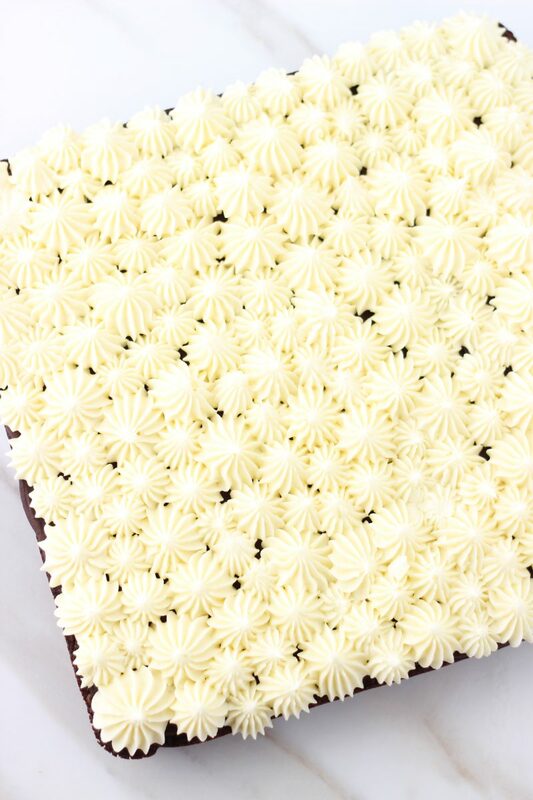 White buttercream is where it’s at. These have a couple steps and layers, but they are easy steps and layers, and the decadence pays off. 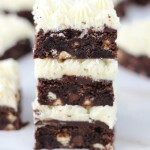 One of my favorite brownie recipes of all-time, been making these for years. 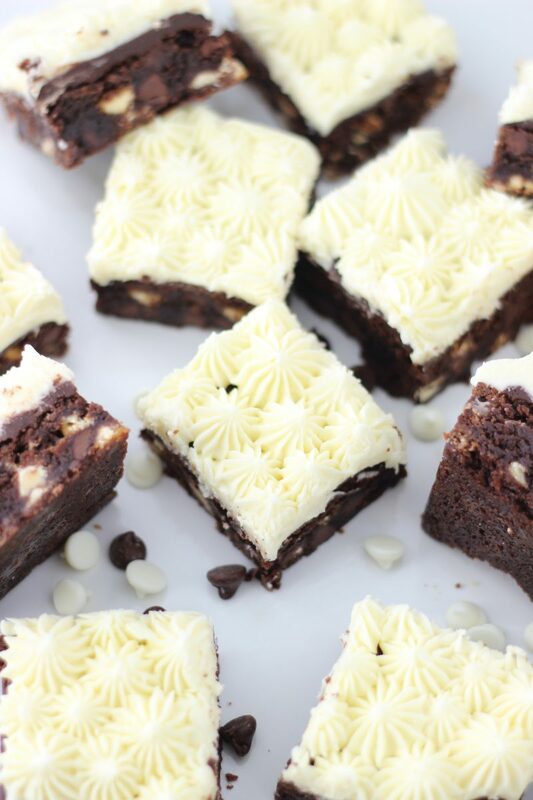 Doctored-up box brownies with semi-sweet chocolate chips and white chocolate, topped with chocolate ganache, and a rich, creamy white buttercream! 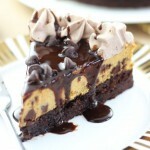 In a large mixing bowl, combine brownie mix, egg, vegetable oil, and water, beating until blended, about 1-2 minutes. Fold in white chocolate chips and semi-sweet chocolate chips. Pour batter into a well-greased 9-inch square pan. Bake at 350 degrees for 30-35 minutes, or until a toothpick inserted near the center comes out clean. In a medium microwave-safe bowl, combine chocolate chips, heavy cream, and butter. Microwave on high for 1-2 minutes, or until heavy cream just begins to boil. Whisk until the chocolate and butter are completed melted, and the mixture is smooth. Spread evenly across the cooled brownies. Allow to set. In a large mixing bowl, combine butter, 4 c. powdered sugar, vanilla, and cream. 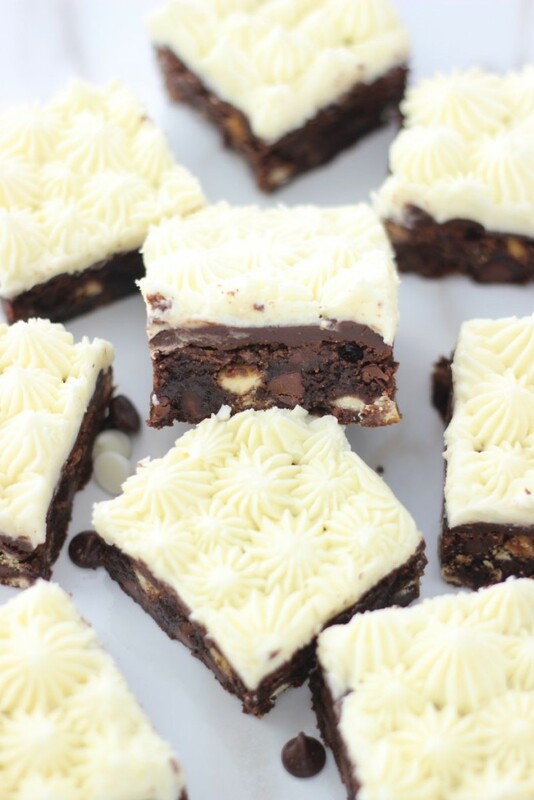 Frost brownies. Cut into bars.